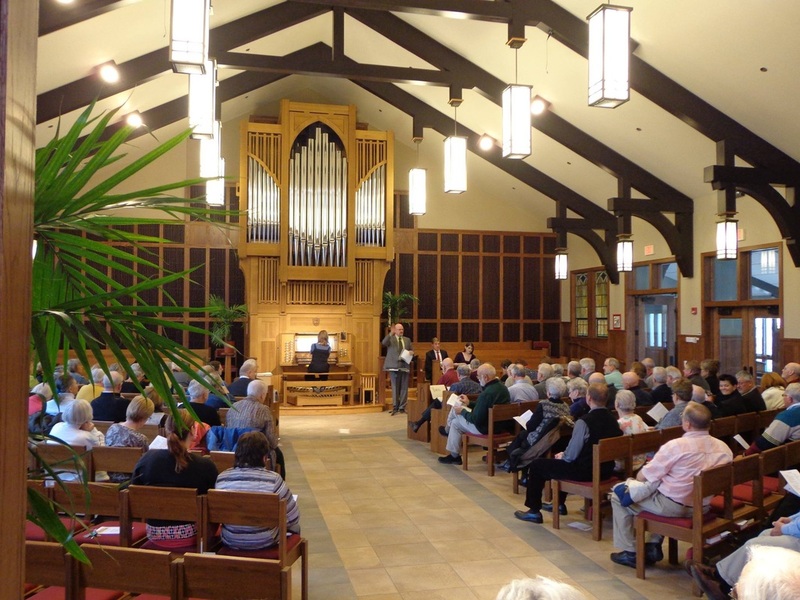 In 2014, our inaugural Palm Sunday community sing-along of Handel's "Messiah", with soloists from Lawrence University, successfully kicked off what will become a regular event, now being held in late June. Would you like to hear interesting music when you go to church on Sunday? St. Matthias' is well-known in the community for its spectacular music, be it the talented choir, the unusual musical selections, the beautiful pipe organ, or the frequent special concerts. Perhaps it's because we sing ALL the verses of the hymns. Or maybe it's the simple fact that the congregation actually sings, and enthusiastically! There is diversity in our music. We sing or play everything from traditional to contemporary, jazz to spiritual to classical. Sometimes these juxtapositions even occur in the same service! Our music is not only aesthetically lovely and pleasing to the ear, but many also find it spiritually uplifting. Our music team meets regularly to coordinate the service music for each week and to plan our many special musical events. The team works with the sermon, gospel, and readings of the week to plan the music so that there is a flow to each service. The music does not dominate but is integral and essential. The result of these efforts is a smooth, seamless service that glorifies God.